The PhD program of the Paris School of Neuroscience provides an outstanding multidisciplinary curriculum to students through seminar series, lab rotations, and research training in top neuroscience laboratories of the Paris region. The faculty includes internationally recognized experts across the large field of the neurosciences from basic molecular and cellular studies, computational science to brain imaging and clinical research. The program involves rotations in different ENP labs during the first year followed by three years of research in one ENP laboratory towards a PhD. Students design their own programs leading to the PhD with oversight by faculty committees ensuring appropriate depth and breadth of training. Working language throughout is English. The program is especially designed to attract motivated top international students that have already shown signs of achievement in their own countries The call is open to students from different backgrounds (biology, medicine, physics, and mathematics) who can demonstrate a strong interest in the field of Neuroscience. Applicants should have the equivalent of a bachelor’s or master’s degree. Candidates should have received their training outside of France, except for those trained in mathematics or physics. A one year pre-PhD Program that involves 3 laboratory rotations in different ENP labs, and masters classes for students who do not have a Masters degree. Stipends are 1200 € net (all taxes deduced, Health Care included). All students are expected to follow this program before entering the PhD program. 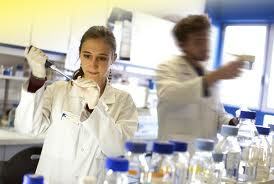 The PhD program is a three year program that involves research training in one of the ENP laboratories. In addition students are expected to attend the ENP Seminar series. Stipends are 1 800 € (income tax not deduced, Health Care included). Demikian kami sampaikan tentang Master/PhD Scholarship for International Students in Paris School of Neuroscience, France semoga informasi tentang Master/PhD Scholarship for International Students in Paris School of Neuroscience, France ini bermanfaat.